Tecno, one of Nigeria’s top mobile phone and tablet manufacturers with huge presence in Africa’s technology market has ranked 7th out of the top 100 most admired brands in Africa for 2018. In the recently released table ranking by Brand Africa, Tecno was recognised for its reputation, competitiveness and inspiration to Africa’s business world, beating other prominent mobile brand competitors such as LG, Sony and Nokia. The brand moved up seven spots from its 14thposition ranking in 2017, to clinch the seventh position on the top 100 most admired brands in Africa this year, behind Samsung which was ranked at number two, down one spot from its number one rating in 2017. Ikalafeng said Brand Africa 100 is a valuation and ranking of the best brands in Africa. He explained that the study was conducted by Brand Africa partners, GeoPoll, leading research firm in emerging markets, with analysis and insights by Kantar TNS, the world’s largest insight information research firm and Brand Leadership, Africa’s premier branding advisory firm. Since establishment in 2006, the premium mobile phone brand has continued to increase its presence in Africa, growing in leaps and bounds as a result of constant innovation and development of cutting edge technologically advanced mobile devices. Tecno is fully established in over 40 African countries with the largest market share in Africa’s fastest growing economies including Nigeria which is till date, its biggest market. Industry watchers have attributed the rapid increase in Nigeria’s mobile subscription to the low cost smartphones introduced to the market by OEMs such as Tecno, which has in turn led to Nigeria being labelled as a mobile first nation. ‘Mobile subscriptions are currently growing by around 25 percent year on year, increasing by approximately 240 million in the first quarter of 2017 alone. The total number of mobile broadband subscriptions around the world is now around 4.6 billion. This of course is majorly as a result of increased smartphone ownership due to availability of lower cost devices from manufacturers such as Tecno, Infinix, Itel and the likes,’ Subomi Sodipo, a Telecoms industry analyst told BusinessDay. 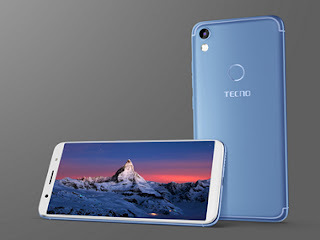 The Tecno brand is highly recognized as the first dual SIM handset supplier in Africa and is uniquely identified with creating crystal clear camera features in all of its devices. From finger print scanning technology, to Iris recognition and pro-longed battery life, Tecno is dedicated to transforming state of the art technologies for emerging markets, providing tailor made localized products under the guideline of “Think Globally, Act locally.” Its p780, the first truly dual SIM mobile phone in Nigeria was a huge success as it addressed the need of Nigerian telecommunications consumers who use multiple SIM cards and are subscribed to different telecom networks at a time. In the recently released ratings by Brand Africa, Tecno’s sister company, iTel mobile moved up nine spots on the list from last year and was positioned in 16th place on the 2018 ranking for the top 100 most admired brands in Africa. Industry stakeholders say that the recognition and top rating of Tecno mobile is well deserved as the company has established itself through commitment and dedication to the African continent. Tecno Mobile remains one of Africa’s leading Original Equipment Manufacturing (OEM) companies with main focus on the needs of customers.